RV7-Factory » Who is this Nut? My name is Jason Hess. I am a Vice President and IT Development Manager working for a Sub-prime credit lender here in Salt Lake City, Utah. I am married to a wonderful woman and have two very active boys and one sweetheart of a little girl. 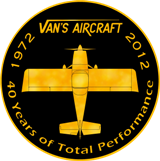 I am also a Private Pilot and a Civil Air Patrol Mission Pilot. 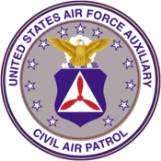 I also serve as the Director of Operations of the Utah Wing of Civil Air Patrol. It may appear I have an excessive amount of time, however, I assure you, I do not. Along with my desire to learn as much as a kid can about aviation, I also had a keen interest in computers. I was writing Pascal programs for my Apple IIe very early on. I was always tearing apart anything I could to just see how it worked. This trend continues. I have moved beyond Pascal to various other languages today. It seems that computers and I are a good match. After several attempts at attaining different college degrees, I settled on Business Information Systems as my major. In 2007, I was graduated from the University of Utah which was my original reason for moving to Utah many years ago. Yes, I know, people who go to school that long are usually referred to as Doctors, but I will never attain that prestigious title I am afraid. No time like the present. However, as another note, I attained my PPL/ASEL on 7 March 2007. Since then, I have amassed 500+ Total Time. I love to fly. For the first number of years of our marriage, my wife and I, lived in an older neighborhood in Salt Lake City where we purchased a fixer upper. It was the source of the greatest accomplishment as well as the biggest pain in the neck in our lives. Mark my words, we will never do it again. It was fun to see the changes and improvements as we finish them. It is nice to stand back and look at the completion of what you did not think you could do. We now live on the other end of the Salt Lake Valley in West Jordan. We are loving the extra space as are our 3 children and dog. Well, if you browsing this site, then you know why. I contend it is cheaper than therapy. We’ll see in time. I’ll say it again…I LOVE TO FLY!!! Check back often as this site is bound to be updated as the build progresses.